Thoracic pain, or mid back pain, which is the pain in the back region between the neck and the lower back, can origin from several different structures in the thoracic spine. The most common causes of thoracic pain include injury of the thoracic facet joints, ribs articulations, intervertebral disc, paraspinal muscles, periscapular muscles, and intercostals muscles. However, other nociceptive structures of the thoracic spine are also capable of producing pain in thoracic region. 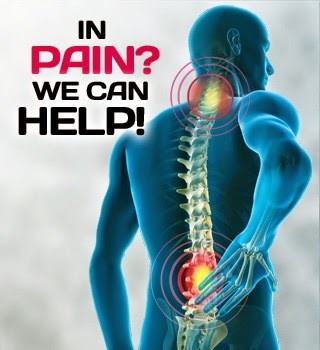 Learn more about the common back pain that is affecting the population in Malaysia. 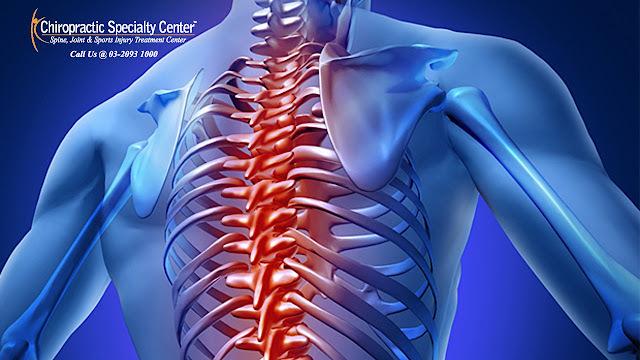 Thoracic spine plays a main role in providing stability to the axial skeleton. Hypomobility or stiffness of the intervertebral joint of one or more segments is a very common presentation that results in thoracic pain. Referred pain to the side or the front of the chest wall is not an uncommon presentation in disorders of the thoracic spine. Prolapsed intervertebral disc is a less common cause of thoracic pain as this region of the spine.Injury of the rib articulations is not that common, however, this can happen in isolation or with the present of intervertebral joint injuries. Another common source of pain in the thoracic spine region in adolescents is Scheuermann’s disease. This is a disorder of the growth plates of the thoracic spinal vertebra. Fracture of the rib posteriorly can cause pain in the thoracic spine region. Cardiac causes and peptic ulcer can sometimes refer pain to the middle back. For more information or inquiries, please contact us at 03-2093 1000 or visit one of our centers in Malaysia.